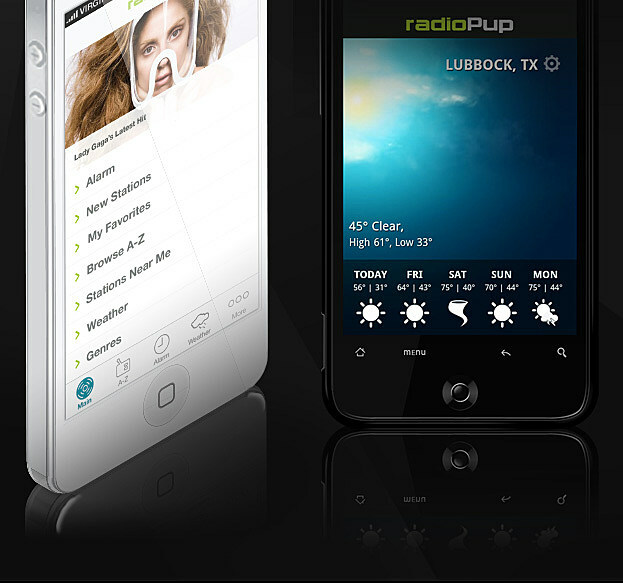 radioPup is a personalized radio app designed for the iPad, iPhone & iPod Touch featuring 300+ local radio stations streaming the best music and news available. Covering many genres including: Country, Classic Rock, Hip-Hop / R&B, Pop, Lite Sounds, Sports, News/Talk, Classic Hits, Rock and more. Browse through all of the available stations by location, genre or recently played or have the app recommend stations to you based on your location. Favorite the songs, stations, articles, photos that you like best and share them with friends via Facebook, Twitter, SMS or email. Have a favorite station or radio host that you want to wake up to every morning? Simply create a new alarm and the app will start up with your station of choice. You can also set a Sleep Timer so you can go to bed with your favorite station.